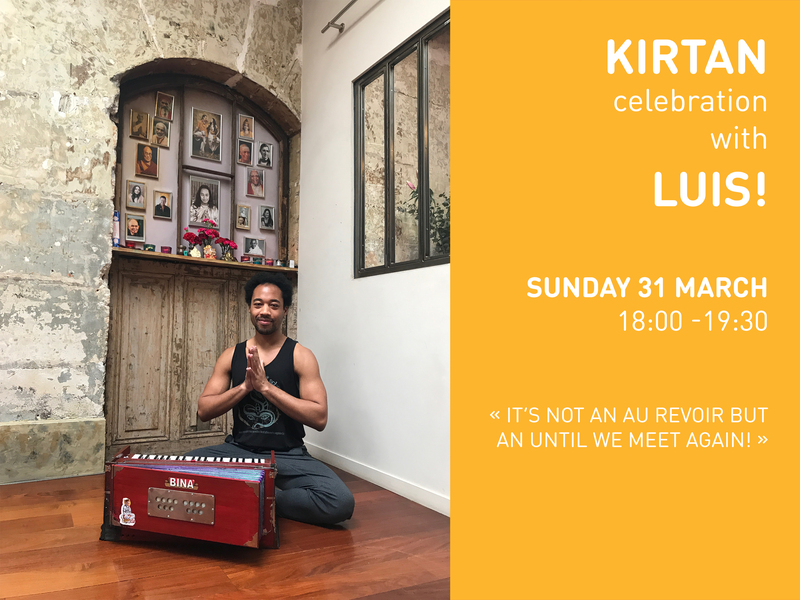 Kirtan Celebration with Luis, joined by Ramanaji! Sunday 31 March, 18:00 -19:30! All are welcome. 15€ suggested donation.